Redistribute, copy, resize, move, convert and more. What's New: Partition Resizer has been upgraded to new version v3.6 on Dec. 2, 2018 with improved stability. 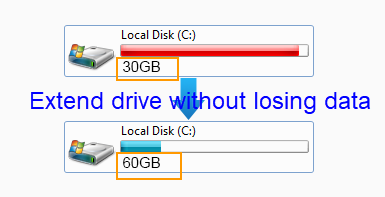 C drive running out of space? Resizer Free helps to increase the boot volume to save your system from reformatting disk, reinstalling operating system, moving data to other places. Resizing the system partition would be an easy job to perform even for tech naives. 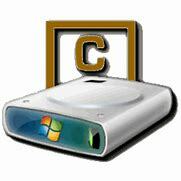 With unique roll-back power, this program will never hurt your data nor partition and provides a 100% of safety for the whole repartitioning even when your computer was shut down accidentally during the resizing. Shrinking/Extending disk volume size without losing data is possible with IM-Magic Partition Resizer Free. You may decrease a large volume which holds too much free space without formatting it. Extend partitions with data untouched. When your disk partitions are either running out of space or with a lot free space, you may use this freeware to re-arrange the fences for better computer performance. Resizing is 100% safe with Resizer Free on the same disk. IM-Magic Partition Resizer v3.6 on Dec. 2, 2018 with improved stability and portable edition for Pro, Server and Unlimited.